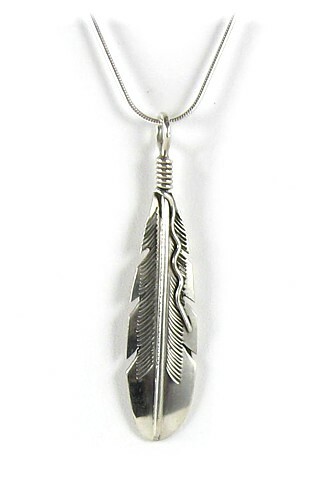 This mighty Feather has the symbol of the designer on the reverse and an unusual river symbol running alongside the markigns of the feather. Length 5.5cm (2¼"). Created in Sterling Silver and set on a simple 925 Sterling Silver Snake Chain 52cm (20").